If you literally want to experience a bird’s eye view of Sydney, then this is the place for you. Sydney Tower Eye gives a totally different aspect of the city. 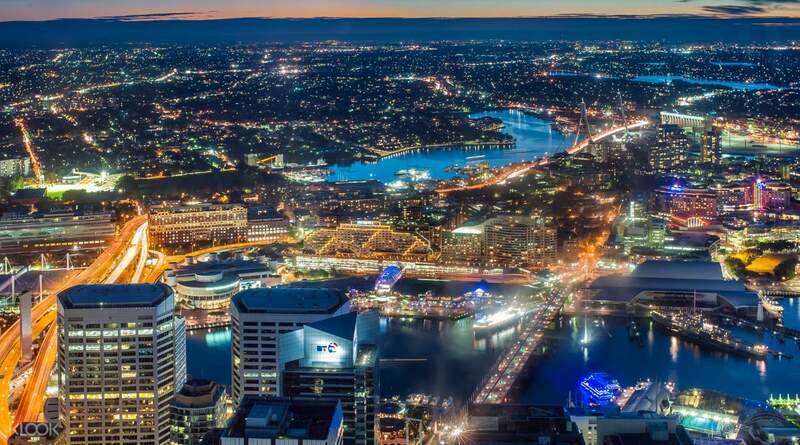 I can only say that Sydney looks more beautiful from this height. Tip: Try to visit close to noon so that the sun is right above your head and the horizon doesn’t have that glare. The best way to see any city is from above. 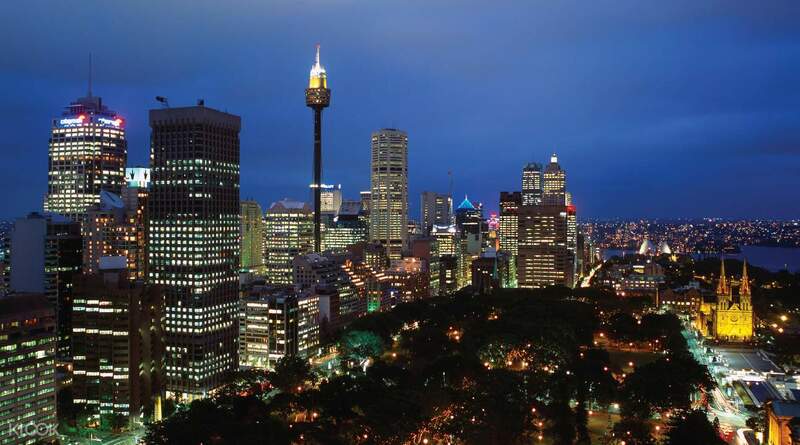 At the Sydney Tower, you are given the best spot to truly see the heart of the Sydney CBD. 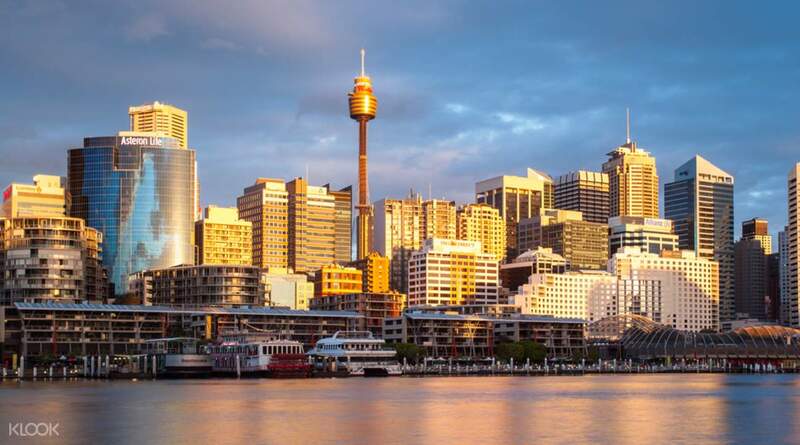 Spot some of the local icons such as the Harbour Bridge, Darling Harbour and the Opera House and learn about their history. On a clear day you'll even be able to see out towards the golden beaches and the Blue Mountains! To make your experience even more special, go up at sunset and watch as the sky turns into shades of orange and pink and the city lights begin to sparkle as they turn on! 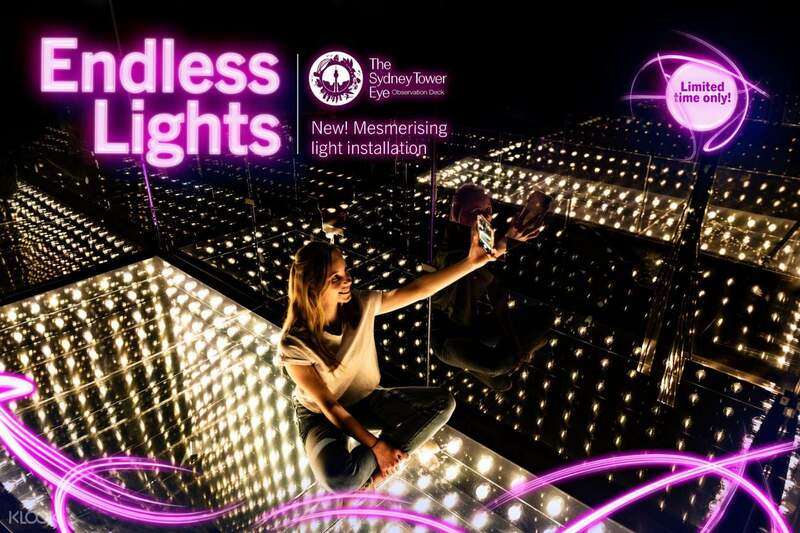 Go beyond the city lights and enjoy an eclectic light installation at the Sydney Eye Tower for your ultimate Instagram photo! No need to redeem a physical ticket - just show them the e-voucher at the counter and they’ll give you a pair of 3D glasses for the 4D cinema experience. The cinema experience is a real treat! Our group enjoyed it immensely. 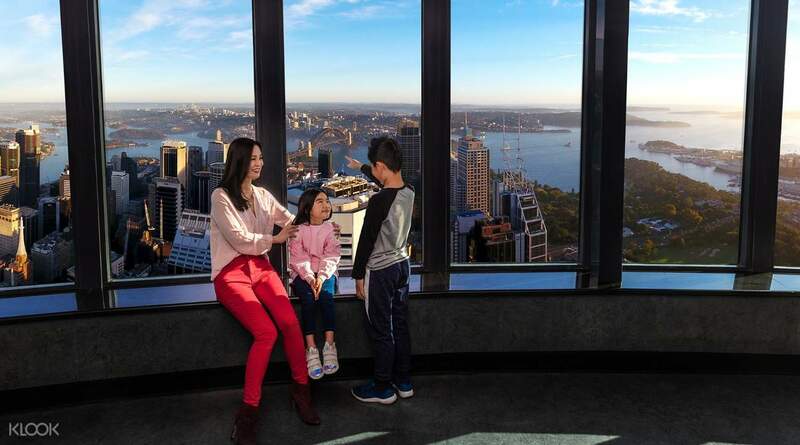 Do note that the Skywalk section of the Tower Eye is closed for renovation until further notice, but the observation deck is still worth a look-see for city views of Sydney. All in all, a real cost saver and super easy to use - I highly recommend it! No need to redeem a physical ticket - just show them the e-voucher at the counter and they’ll give you a pair of 3D glasses for the 4D cinema experience. The cinema experience is a real treat! Our group enjoyed it immensely. Do note that the Skywalk section of the Tower Eye is closed for renovation until further notice, but the observation deck is still worth a look-see for city views of Sydney. All in all, a real cost saver and super easy to use - I highly recommend it! hassle free redemption, just go straight inside..no need to line up to the long queu..thanks klook!! hassle free redemption, just go straight inside..no need to line up to the long queu..thanks klook!! what an amazing view to be on the top of Sydney Tower seeing the whole Bird's eye view of Sydney. what an amazing view to be on the top of Sydney Tower seeing the whole Bird's eye view of Sydney. Really nice views of the city at the top. There are place labels and distance from the tower at the. observation deck so you can get an idea of house far the other attractions are. Really nice views of the city at the top. There are place labels and distance from the tower at the. observation deck so you can get an idea of house far the other attractions are. Great experience! It is convenient and much cheaper to book the tickets at klook. 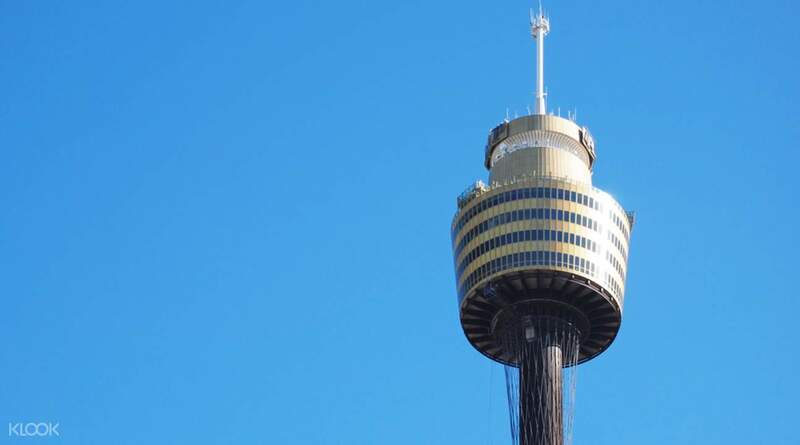 I just showed the QR code and there was no queue outside the Sydney Tower Eye. Worth to pay a visit as there is a souvenir shop inside. My family and I bought many things inside the shop. Great experience! It is convenient and much cheaper to book the tickets at klook. I just showed the QR code and there was no queue outside the Sydney Tower Eye. Worth to pay a visit as there is a souvenir shop inside. My family and I bought many things inside the shop. Smooth transaction. Very convenient and easy to use. Smooth transaction. Very convenient and easy to use. Very nice tour. We all loved it. Will definitely join again next time. Very nice tour. We all loved it. Will definitely join again next time. i noticed that the price was cheaper through klook and avoided the lines in purchasing the ticket. i recommend going there sunset time. i noticed that the price was cheaper through klook and avoided the lines in purchasing the ticket. i recommend going there sunset time. it is a very wonderful view from above 💕 the 4D experience is a very good start of the activity. it is a very wonderful view from above 💕 the 4D experience is a very good start of the activity.